According to Deadline, Matt Damon and Paul Greengrass have said they may return to the Bourne universe some day, but not anytime soon. 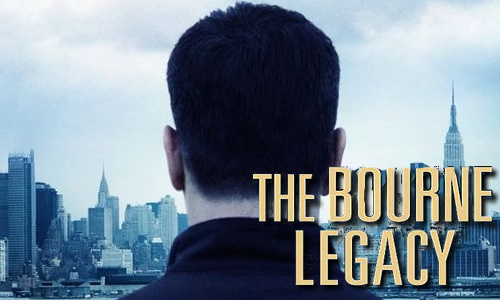 And for the studio, this Bourne franchise brings in too much money for them to wait. So “The Bourne Legacy” is on its way and takes place in the Bourne universe we have all come to know. The lead that will replace Matt Damon now is none other than actor, Jeremy Renner. Renner was in Hurt Locker, The Town, 28 Weeks Later, and the upcoming Avengers film which he will play Hawkeye. Renner will also star opposite Tom Cruise in the upcoming Mission: Impossible: Ghost Protocol film. Is it safe to say Renner is the new Harrison Ford?? Three franchise films!!! Bourne, Avengers, and Mission: Impossible! WOW. This entry was posted on Monday, April 25th, 2011 at 5:25 pm	and is filed under Film, News. You can follow any responses to this entry through the RSS 2.0 feed. You can skip to the end and leave a response. Pinging is currently not allowed. « Geek Deal of the Day!!! BBC’S Life Is 60% Off For Today Only!! !